The number of UK businesses hiring freelancers online has risen by 51% since 2012, the latest Global Online Employment Report by online work platform Elance has revealed. 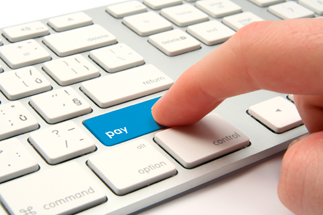 The report also found that payments made to freelance workers by businesses have gone up by 47% in the last year. The greatest demand for freelancers was found in the following sectors: IT and programming (35% of all hires), design and multimedia (25%) and writing and translation (23%). The report also found that there has been a surge in the use of freelancers in the following sectors: sales and marketing (an increase of 87% year-on-year), administrative support (85%) and engineering and manufacturing (173%). Commenting on the report, Kjetil Olsen, Elance Vice President of Europe, said that the demand for freelancers was becoming more widespread. ‘There are more employers, hiring more freelancers across a wider range of jobs,’ he said. ‘For some, this is about managing short-term demand for talent and de-risking growth, but it’s also evident that for tens of thousands of UK businesses, retaining freelancers as an integral part of their talent mix is becoming an essential strategy,’ he added.